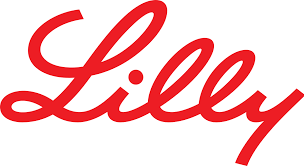 On Jan. 7, 2019, Eli Lilly announced a definitive agreement to acquire Loxo Oncology, a biopharmaceutical company focused on the development and commercialization of treatments for patients with genomically defined cancers, for $235 per share in cash, or approximately $8 billion. Under the terms of the agreement, Lilly will commence a tender offer to acquire all outstanding shares of Loxo. The transaction is not subject to any financing condition and is expected to close by the end of the first quarter of 2019, subject to customary closing conditions, including receipt of required regulatory approvals and the tender of a majority of the outstanding shares of Loxo’s common stock. Following the successful closing of the tender offer, Lilly will acquire any shares of Loxo that are not tendered into the tender offer through a second-step merger at the tender offer price. LOXO-292, an oral rearranged during transfection (RET) kinase (RET) inhibitor that has been granted breakthrough therapy designation by FDA for three indications, with an initial potential launch in 2020. LOXO-292 targets cancers with alterations to RET. RET fusions and mutations occur across multiple tumor types, including certain lung and thyroid cancers as well as a subset of other cancers. LOXO-305, an oral Bruton’s tyrosine kinase (BTK) inhibitor currently in Phase I/II. LOXO-305 targets cancers with alterations to BTK and is designed to address acquired resistance to currently available BTK inhibitors. BTK is a validated molecular target found across numerous B-cell leukemias and lymphomas. Vitrakvi, an oral tyrosine receptor kinase (TRK) inhibitor developed and commercialized in collaboration with Bayer that was approved by FDA in November 2018. Vitrakvi targets a specific genetic abnormality to receive a tumor-agnostic indication at the time of initial FDA approval. LOXO-195, a follow-on tyrosine receptor kinase (TRK) inhibitor also being studied by Loxo and Bayer for acquired resistance to TRK inhibition, with a potential launch in 2022, Lilly reports. “Tumor genomic profiling is becoming standard-of-care, and it will be critical to continue innovating against new targets while anticipating mechanisms of resistance to available therapies so that patients with advanced cancer have the chance to live longer and better lives,” said Josh Bilenker, MD, CEO of Loxo Oncology, in the release.